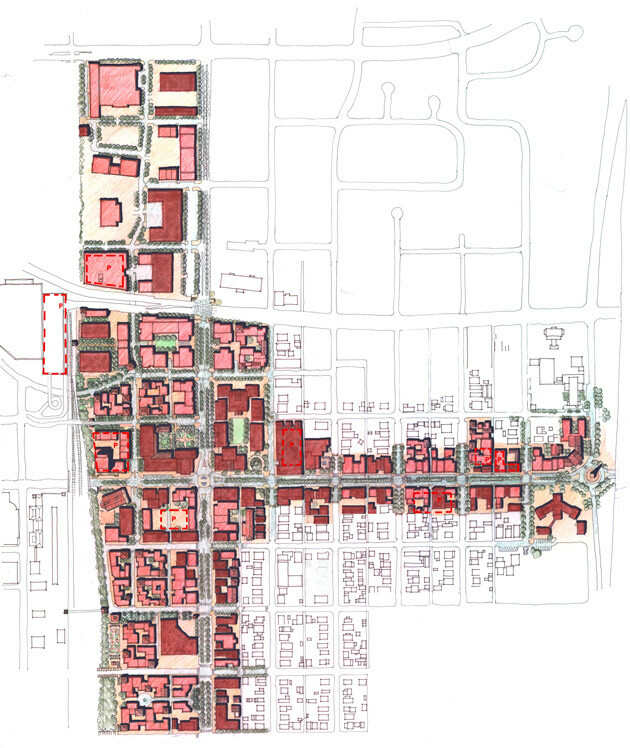 East Downtown Albuquerque is in the process of revitalizing the Central Avenue and Broadway corridors with light rail and a comprehensive redevelopment strategy. 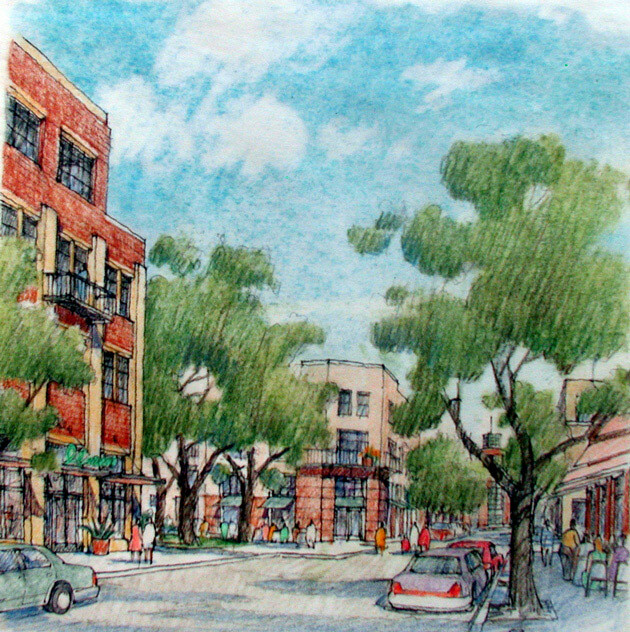 The task was to change the high-speed nature of the streets and develop appropriate form-based zoning that will repair and revitalize the degraded retail corridor while strengthening the surrounding neighborhood. A two-month period of research, analysis and stakeholder meetings brought together all of the interested parties in a week-long charrette, during which a plan for a solution that could be quickly implemented was developed. 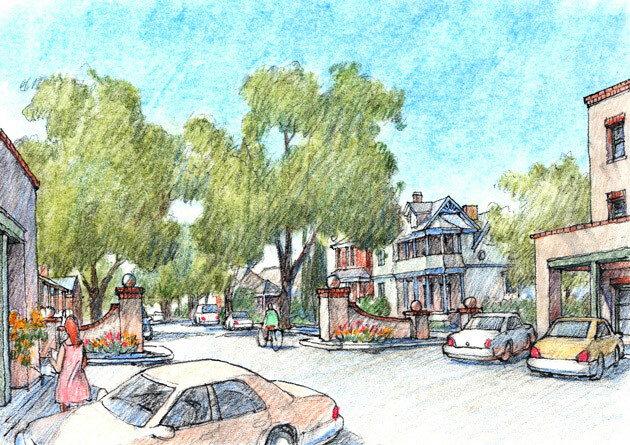 The program includes preservation of the neighborhood and significant buildings along the corridor, changing the street section of Central from two lanes of traffic to one in each direction with a 24-foot ramblas that will in the future accommodate light rail. 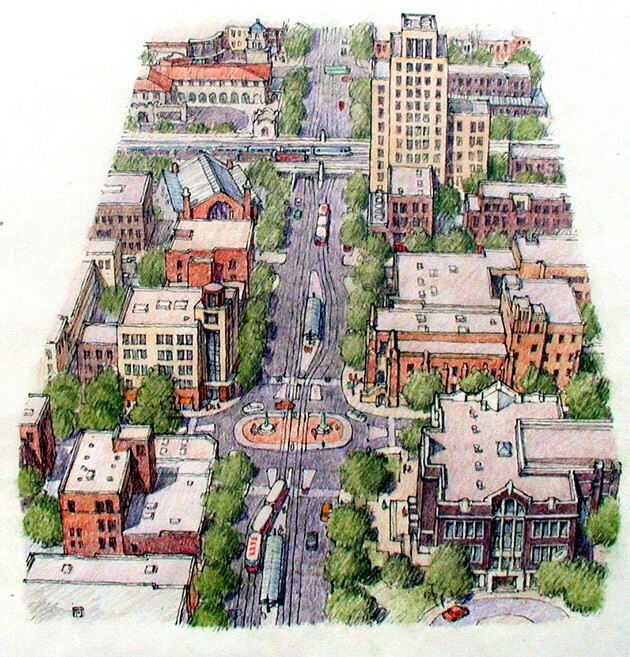 Broadway will be converted into a true boulevard, with side lanes, parking and four rows of trees. The Broadway / Central and Central / I-25 intersections will be transformed through the addition of roundabouts that will foster better traffic flow as well as provide sites for civic monuments. This new plan also accommodates an additional 1,500 units of housing and a significant amount of retail and office space.